A popular sandwich shop operating out of the South Bay since 1950 closed its doors for the final time Saturday. An iconic sandwich shop operating out of the South Bay since 1950 closed its doors for the final time Saturday. The owner of Time Deli and Catering, located at the intersection of South Bascom Avenue and Stevens Creek Boulevard in San Jose, shuttered the shop at 2 p.m. following a legal battle and an inability to pay for necessary renovations. Droves of people came around one final time and packed the establishment to enjoy their favorite meals. "It's a sad day that Time is closing because they were a great restaurant," longtime customer Chuck Mignosa said. "We're sad to see them go." 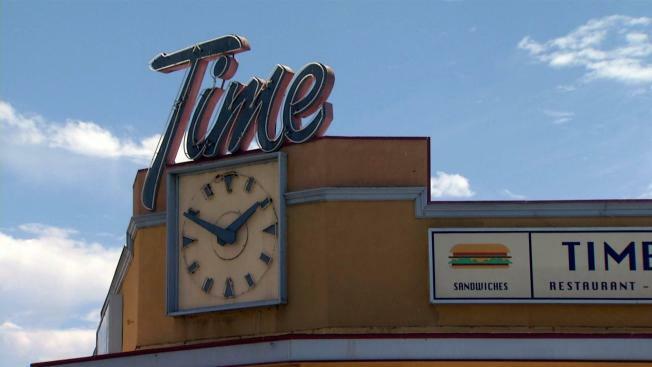 Time Deli and Catering has been dishing out meals to folks as far away as Fairfield and Monterey for 67 years, according to its website. The establishment was recently sued by an attorney who targets businesses that violate the Americans with Disabilities Act, according to the owner. The lawsuit was settled, but without enough money to pay for renovations, the owner decided to close up shop. As for what meal Mignosa is going to miss eating inside the shop, he didn't hesitate. Time's tri-tip sandwich was his go-to selection. "Fantastic," he said. "Can't beat it."